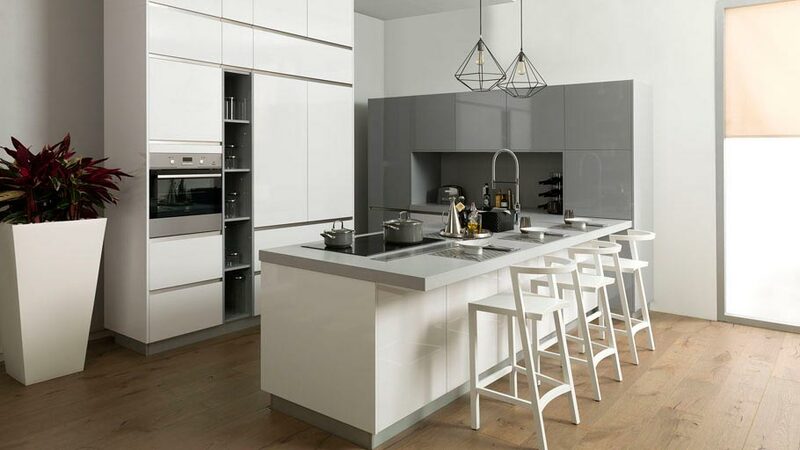 With regard to kitchens design, trends are in continuous change, however, there are some colours that never disappear, such as the everlasting colour white. There is something which is always inherent in this colour, in other words, both its eternal contemporaneity and its pure and endless avant-garde essence. Because of its lightness and serenity, it turns out to be the ideal colour to achieve a higher visual space; as well as to raise the light reception into the atmosphere and enhance the sense of neatness. PORCELANOSA Grupo, by means of its firm regarding kitchens equipment, Gamadecor, suggests various models of kitchen in white colour tones. 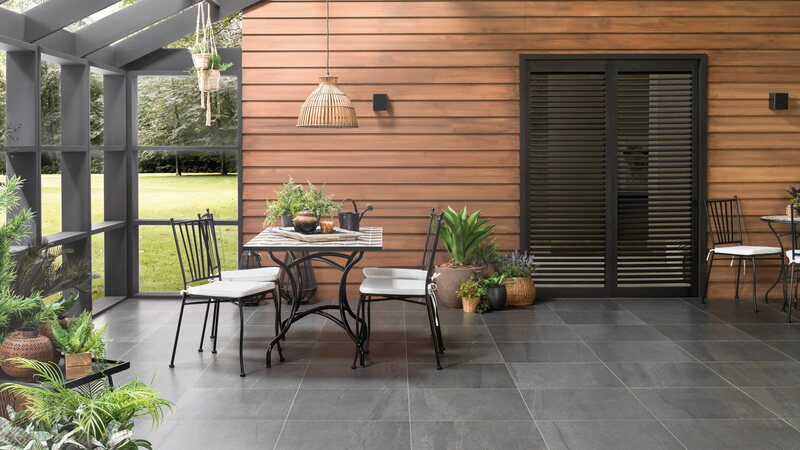 This happens with the aim of adapting the interior designs to the most modern-day trends, as well as to the different decorative styles which every project is characterised by. 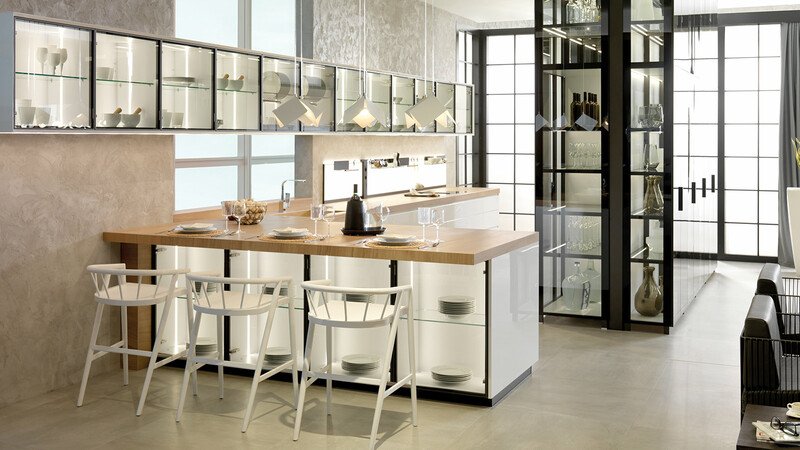 The kitchen is a space in which one both works and lives, and furthermore, it has high transit and requires highly-resistant materials, which remain unaffected, just like from the very first day. 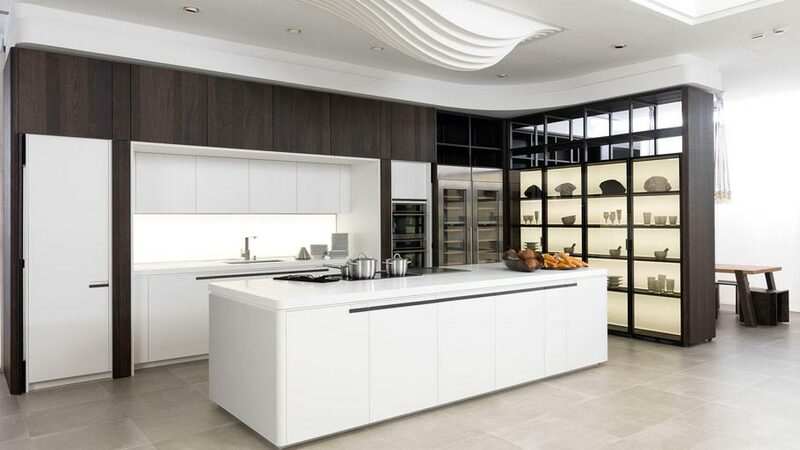 The kitchen, as one knows, undergoes the typical battering of everyday life, as well as the extreme use by the most demanding of kitchen professionals, so highly-resistant materials are essential. 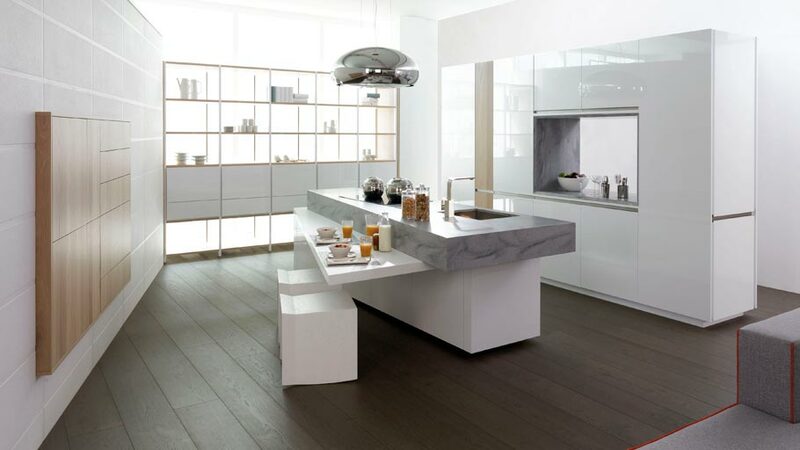 In the case of opting for a white kitchen, the maintenance and functionality are definitely a must. 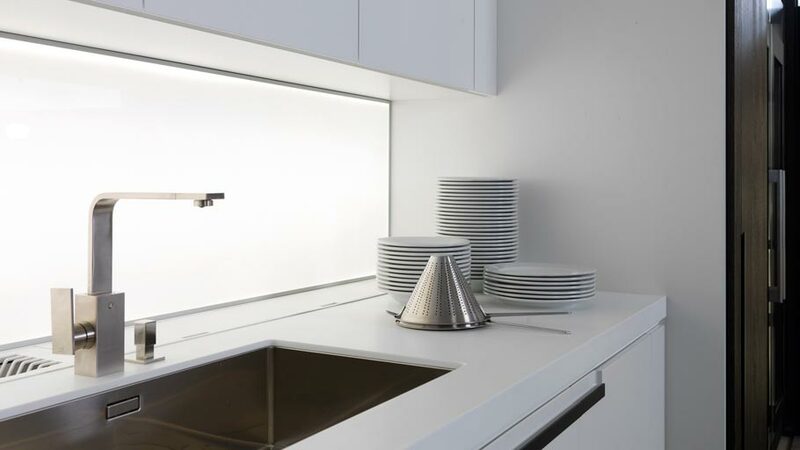 In this sense, the KRION® mineral compact Solid Surface even meets the most professional chefs’ expectations: pure white, easy-to-clean properties, high resistance and anti-bacterial properties. 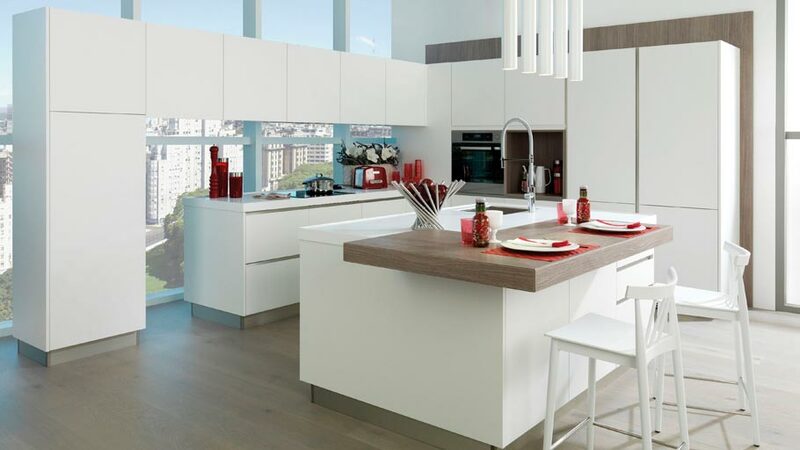 Thanks to this high-range material, the professional kitchen takes on a new turn. 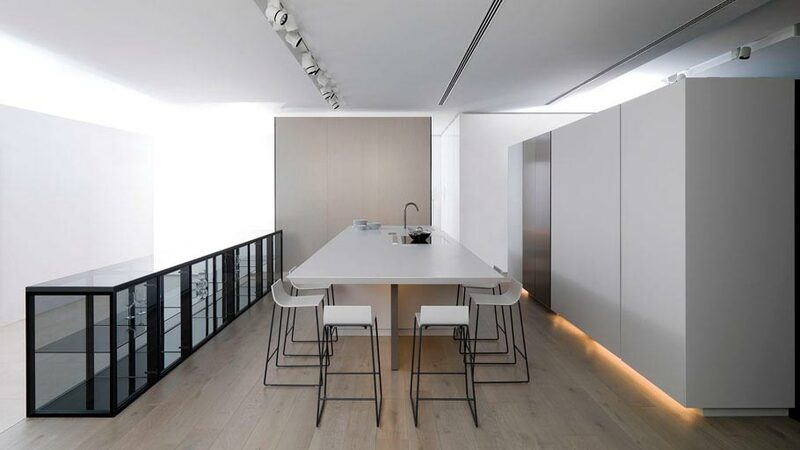 For example, the new Porcelanosa kitchen by Quique Dacosta, where the three-Michelín-star chef counts on this material for a work area which remains unaffected and, above all, forever white, despite the demanding use. With regard to this kitchen equipment, it is also worth highlighting its elegant colour contrast, which masterfully combines the pureness of the colour white with the solidity of the coal oakwood. The timelessness regarding the colour white is also ideal for providing the vintage style kitchen with a retro touch. Therefore, and as a romantic tribute to the past, we travel by time machine in order to imagine a return to its origins. 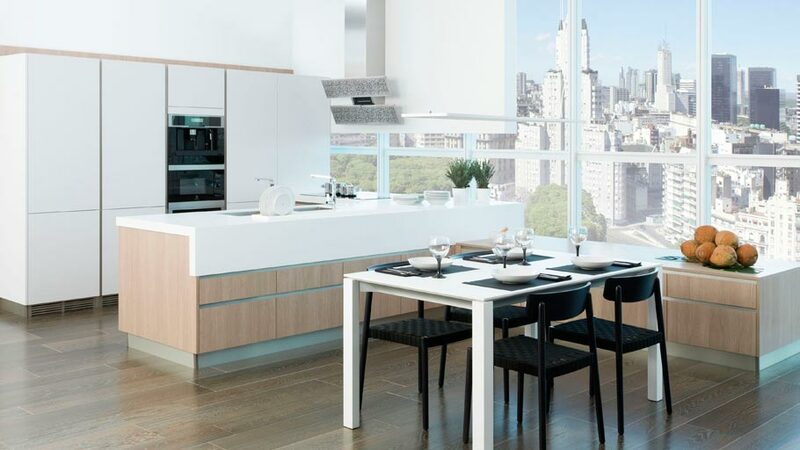 In this sense, the 4.40 Emotions kitchen in matte porcelain, pure oakwood and leather oakwood, and in a combination with the flooring, inspired by the Bluestone hydraulic tile, is the commitment to creating a romantic classical charm based on a very spacious and practical furniture, including wooden ornaments. 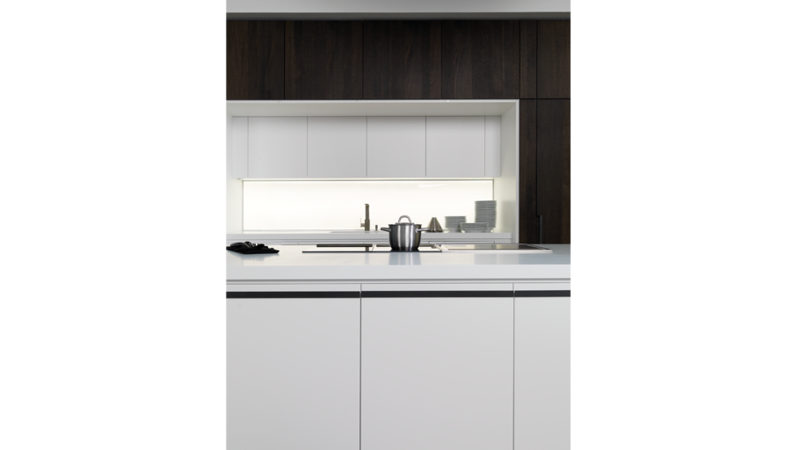 The most modern kitchens are reinvented and acquire an increasingly minimalist look, where white is the purely minimal one par excellence. 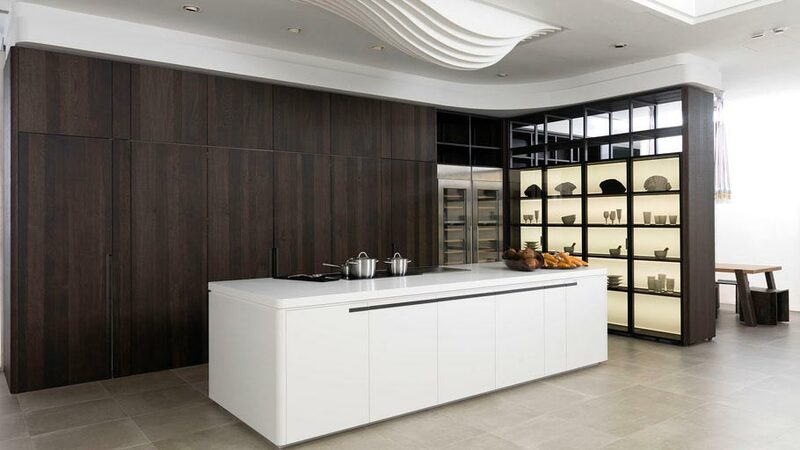 The integration of a panel covering a functional storage space simplifies the design, and at the same time, it only reveals what is worth showing. 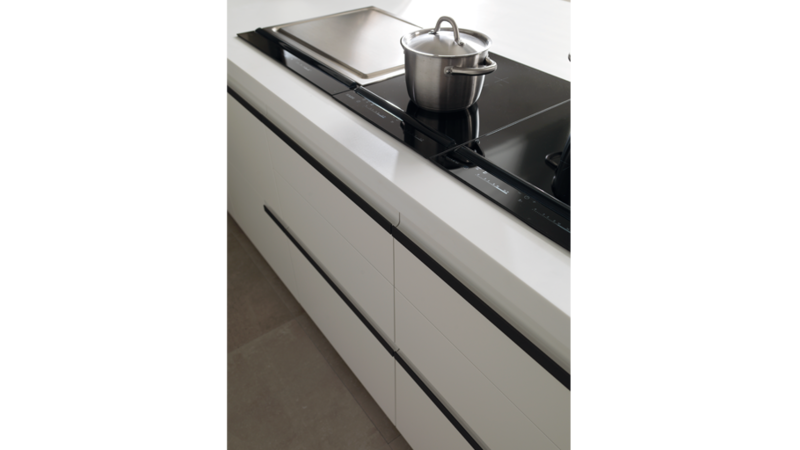 In line with this this exquisitely reduced to a minimum trend, it is the Emotions Premium Ekrion Titanio kitchen from Gamadecor, which is set up around a black and white, serene and subtle contrast. 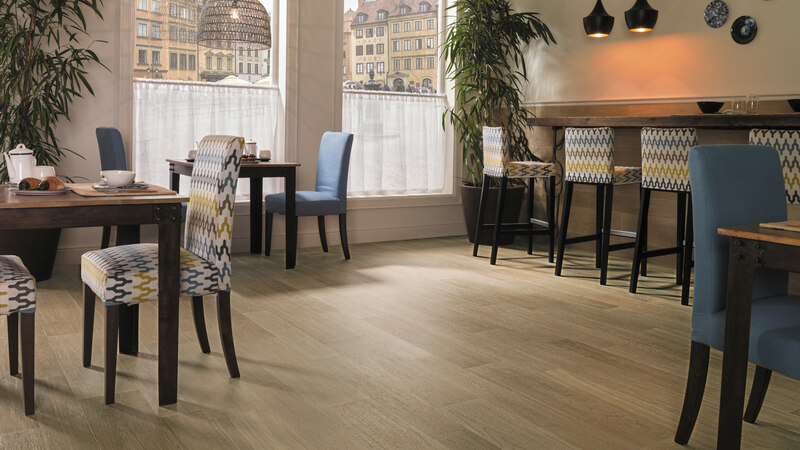 As a complement, we can use natural elements on the room flooring, such as the Eden texture 1L Almond natural wood parquet from L’Antic Colonial. White, beige and sanded finishes, harmonize perfectly to mark a kitchen style which stands out for its naturalness and authenticity. 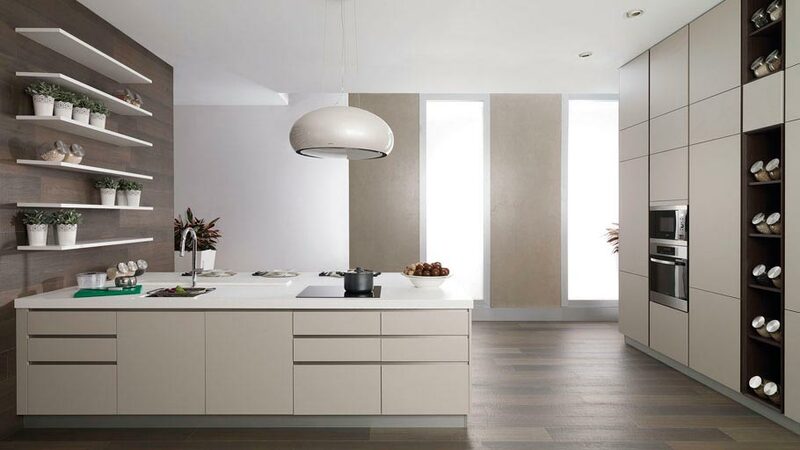 The G39 kitchen model from Gamadecor stands out for the delicacy in the combination of neutral tones, as well as in both the sophistication and trendiness that its design offers. 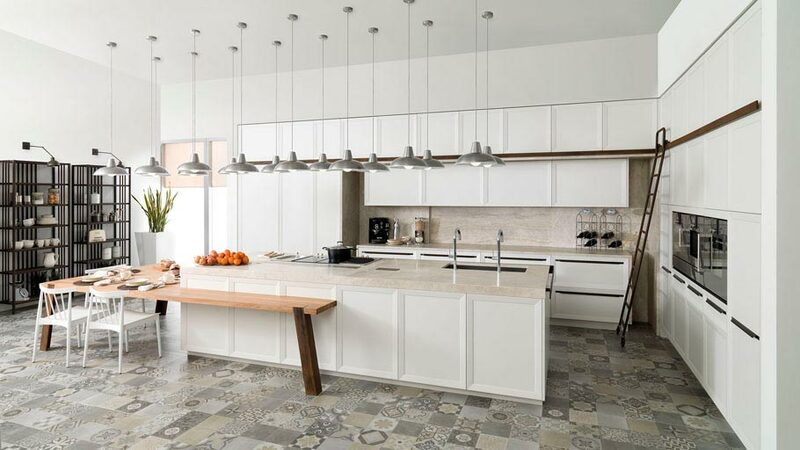 The colour intensity and tribute to the origin comes in this kitchen design from L’Antic Colonial, which offers its Eden 1L Light Grey parquet for floor and wall tiles.